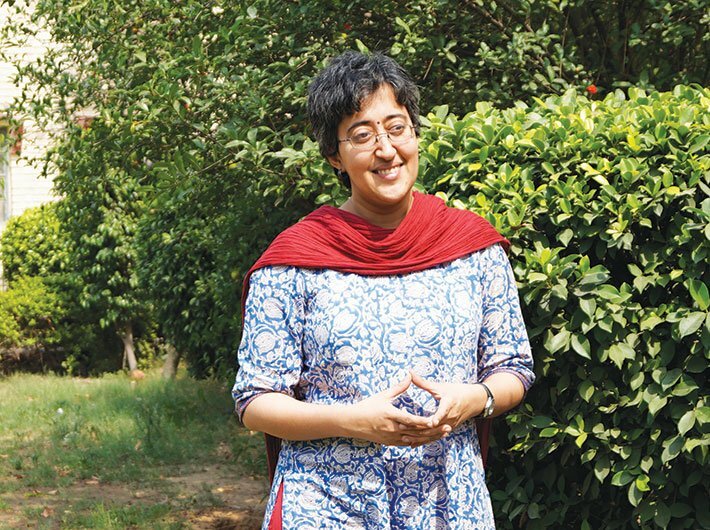 Atishi Marlena, who is advisor to the deputy CM and is spearheading the mohalla sabha initiative, talks about the emergence of a new brand of grassroot politics. AAP’s original concept of mohalla sabha has undergone some changes this year. Atishi Marlena, who is advisor to the deputy CM and is spearheading the initiative, talks about the emergence of a new brand of grassroot politics and reaching out to people through mohallas across the city. How will the exercise of people’s participation be different this year? Last year, the mohalla sabha was a one-time pre-budgetary exercise. This year, it will be conducted post-budget round the year. We had been talking about people’s participation in the budgetary process since the beginning. Before the budget was announced (in July last year) we thought we should initiate the participatory budget exercise. Of course, time was short. But we thought it is still worth trying instead of waiting for a whole year (to implement the scheme). It was difficult to anticipate the bottlenecks. We had to learn and evolve as we progressed. So we decided to try it in 11 assembly constituencies, one constituency in every revenue district. Mohalla sabhas started in June and it took us a month for actual budget appropriations and transfer of funds. Till then we did not even know the feasibility of the project. This year a fixed amount has been sanctioned under the budget to all the mohallas, which they can spend based on their needs. If they don’t spend, it can spill over to the next year. But that’s a policy decision that we still need to take. We have done an extensive mapping of mohallas in the last four to five months. The mohallas have been demarcated on the basis of polling booths and the voters’ list in each area. A team of 15 volunteers have completed the task of forming mohalla sabhas in every area. The mohallas have been drawn using images and information from the Delhi government’s geospatial database and Google Maps. This was followed by ground-level checks. The process involved mapping the mohallas, digitising the results and transferring the data to an app. Our teams tracked the boundaries of the mohalla. Delhi has different kinds of areas like JJ clusters, unauthorised colonies, urban villages, group housing societies and planned colonies. The needs of the residents vary in different areas. So the mohallas have been carved out in a way that there is representation from different socio-economic groups. Last time, we were executing all the work through different government agencies like PWD or MCD. This time we will create a list of things that mohallas can get done on their own. For example, if a street light has to be repaired, or a dustbin has to be installed, the mohallas will have the money to get it done themselves rather than going to a government agency. This will remove a lot of the obstacles. But who will keep a check on this? There is no check in the government system either. The government’s money is actually the people’s money. They give it to the government to spend it on their behalf. Now we will give it back to them to spend on their own. Whoever lives in that area can check the work that has been done, through an app or the mohalla website. Will it not lead to misuse of money? I am not saying there would be absolutely no corruption or there would be no money that would be siphoned off. But this is what democratic expansion is all about. Eventually one will have to give people a right, whether they are, at that point of time, capable or not. You empower a group, and with time they acquire the ability to take a decision and execute it. This process of decentralisation basically depends on that understanding. What we are doing is the next level of democratic expansion. Will the app on mohalla sabha encourage people’s participation? The app, My track, will be an android application. It will track each mohalla. It will have details of each house and all the facilities in an area. We are creating a mohalla management system, because something of this scale cannot have a paper trail. With this, in future we will be able to inform voters about the mohalla sabha through SMS alerts. We are also trying to build a system where people can give inputs for the agenda of a sabha. Also, we are working to template the minutes of the meeting into the app itself. Will you involve MLAs in the process? Formally, MLAs will not have a role in the mohalla sabha. But because they are people’s representative, they will have an involvement on daily basis. Our dispensation has been clear from the beginning that we want to promote the concept of swaraj (self-rule) through participatory governance. At present, we cannot do that because of the complicated structure of Delhi. Ideally it should be a nested structure – with the mohalla nested with the ward and the ward nested with the assembly. Different functions should be taken care by different layers. Because that system is not in place, a common man goes to an MP for work which should be done by a councillor. Once we remove these bottlenecks, the mohallas will be able to do a lot of work on their own. And the MLA will be able to look over the larger interest of the constituency. Who will manage the whole process at the grassroot level? The number of mohalla sabhas this year will drastically increase. So the district magistrate (DM) or the sub-divisional magistrate (SDM) office cannot handle all the work. Also, unlike last year, the mohalla sabhas will meet round the year. We will have coordinators who will mobilise people and also manage the work on ground. In the short run, the mohalla sabha coordinators will be nominated. But from next year these coordinators will be elected. They will be volunteers but we may have a system for some reimbursement. We are also thinking of appointing some paid-staff to look after the work. The participation of people in the mohalla sabha differs in each constituency. Our experience has been that people from the middle and upper classes do not participate in such exercises. It is people in the lower-class areas who come out and participate. Needs of people living in group housing societies are already taken care of. Whereas those living in slums and JJ clusters come out in large numbers to attend the sabhas. Last year there was a clear socio-economic difference. We want all people to participate. This process will not only remove administrative bottlenecks but will also give people the identity as citizens and increase their participation in society. Though you have increased the reach of mohalla sabha, there is a cut in the budget allocation. Last year we realised that a lot of projects were voted upon by mohallas without analysing their feasibility. Even the mohallas, where a lot of progress was made, did not spend more than 50 percent of the budget allocated to them. So by the time our mohallas will be notified and the process will start, a few months of the financial year would already be gone. We have reduced the allocation per mohalla. But there is an option of revised expenditure every quarter. Our understanding is that we might revise the expenditure, depending on how functional the mohalla sabhas are and the execution of the demands. While promoting local governance, AAP is also making inroads into municipal wards across the city. Is the party preparing to make a strong foray into the civic polls next year? We are localising, rather ‘peoplising’, the whole process [laughs] because not all decisions need to be taken at the top level. There are some decisions that need to be made locally. However enlightened the government might be, they would not have an estimate of what every individual’s need is. We are the government which is taking inputs from the people. Still, we could never really imagine the kind of demands people came out during the mohalla sabhas last year.